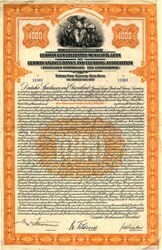 Beautiful certificate from the German Consolidated Municipal Loan dated in 1928. 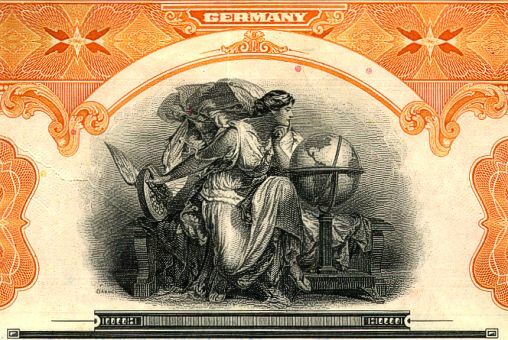 This historic document was printed by Ameican Banknote Company and has an ornate border around it with a vignette of an allegorical woman next to a woman. This item has the signatures of the Company's President and Managing Director and is over 81 years old.